Among the big news on transport and traffic in Metro Manila this weekend is the resolution by the Metro Manila Council (MMC) to adopt a single ticketing system for traffic violations in Metro Manila. It took some time for this to be realized and such a system should be favorable to motorists and LGUs alike. The biggest issue in the past was how to divide the revenues derived from the penalties imposed on erring motorists (though some quarters will deny this). Many MM LGUs balked at the original proposal of the MMDA that the agency should get the bulk of the revenues. The MMDA explained that their enforcers were and are deployed along most roads and manage traffic in most of Metro Manila. Perhaps they were right in proposing for a substantial cut of the total revenues as many LGUs were dependent on the MMDA for traffic management. MANILA, Philippines – Metro Manila mayors have approved the resolution for the adoption of a uniform or single ticketing system for traffic violations in the metropolis. Metropolitan Manila Development Authority (MMDA) chairman Francis Tolentino said the resolution was approved after a dialogue between Metro Manila mayors and Interior and Local Government Secretary Jesse Robredo at the Pasay City Hall last Thursday. Representatives of transport groups – the Federation of Jeepney Operators and Drivers, Pangkalahatang Sanggunian Manila and Suburbs Drivers Association, and Pagkakaisa ng mga Samahan ng Tsuper at Opereytor Nationwide – also joined the dialogue. Tolentino said Robredo would present the resolution to President Aquino for approval. “Without the single ticketing system, Metro Manila local government units (LGUs) and the MMDA use their respective traffic violation tickets. This runs counter to the 1995 MMDA Charter, mandating the MMDA to install and administer a single ticketing system,” said Tolentino. He said the resolution paves the way for the implementation of a uniform traffic violation ticket bearing the MMDA logo and that of the 17 LGUs of Metro Manila. “The uniform ticket will be issued by all traffic operatives within Metro Manila and shall be recognized metrowide,” he said. Tolentino said a technical working group composed of the traffic heads of the 17 LGUs of Metro Manila, representatives of the Department of Transportation and Communications, Land Transportation Office, Land Transportation Franchising and Regulatory Board and the MMDA would be created to resolve the issues concerning the implementation of the unified ticket system. We look forward to the implementation of the single ticketing system for traffic violations in Metro Manila. Perhaps after the usual confusions and misunderstandings at the start of the integration, we will see a more systematic (and maybe stricter?) way of handling violations. This should, however, translate to better behavior among motorists as the system should influence how people drive. Otherwise, all the hype for single ticketing would have been to naught. Perhaps the next single ticketing project should be for public transport fares? 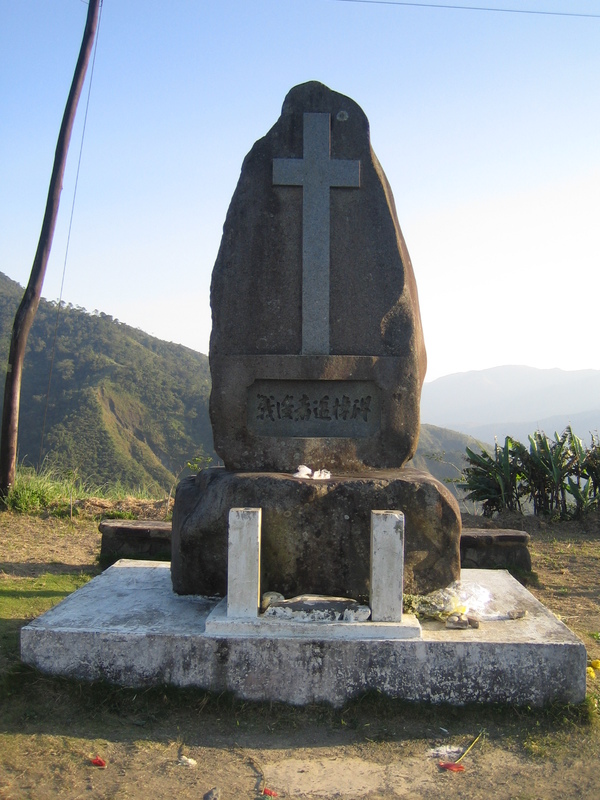 Dalton Pass is named after a General of the US Army who led combined Philippine and American troops pursuing a retreating Gen. Tomoyuki Yamashita during the campaign for the liberation of the Philippines in World War II. 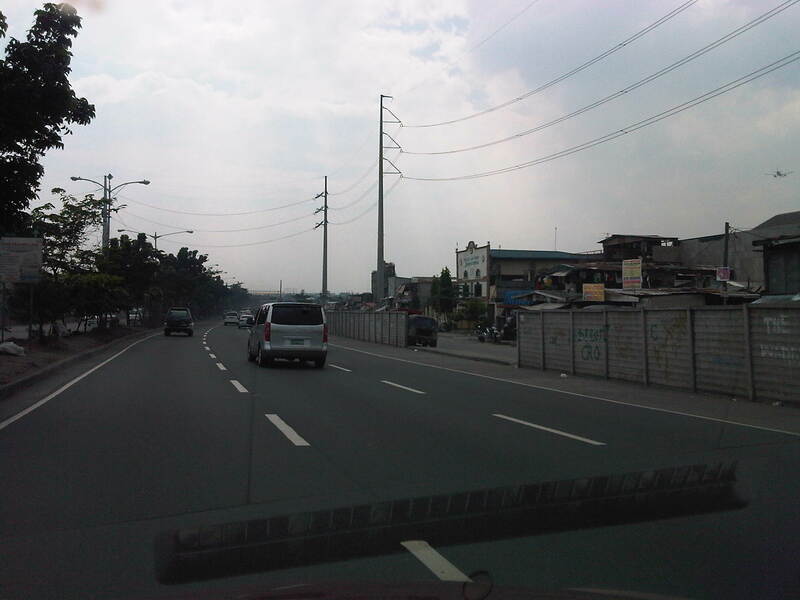 It is part of the Pan-Philippine Highway and the Asian Highway network (AH-26). The section is also part of what is known as the Cagayan Valley road, which is the main highway access for the eastern part of northern Luzon. The northern part of Luzon Island is divided by the Cordillera mountain range with the Ilocos region in the west and Cagayan Valley in the east. Following are photos taken a few years back during a trip to the city of Tuguegarao, Cagayan. I chose to go via land and using the Pan Philippine Highway out of curiosity about the towns and provinces along the way. The trip, after all, allowed me to go through the provinces of Bulacan, Pampanga, Nueva Ecija, Nueva Vizcaya, Isabela and Cagayan. At the time, it took us around 11 hours to travel to Tuguegarao where I promoted the graduate programs of the UP College of Engineering. This included two stopovers for late breakfast and late lunch. 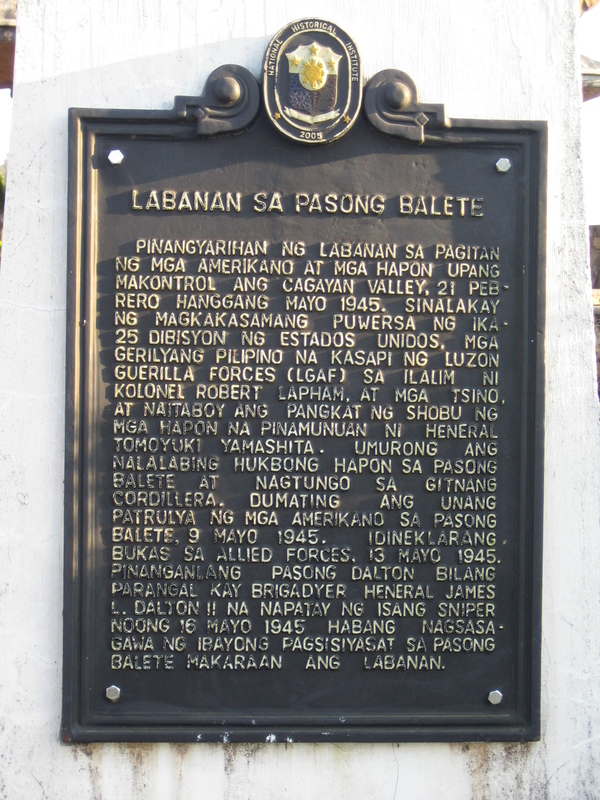 National Historical Institute marker placed in 2005 relating (in Filipino) the events in the latter part of World War II during the pursuit of retreating Japanese forces from February to May 1945. Balete Pass is located in the town of Bayombong in Nueva Vizcaya province. This market is for the viewdeck completed in 2000. 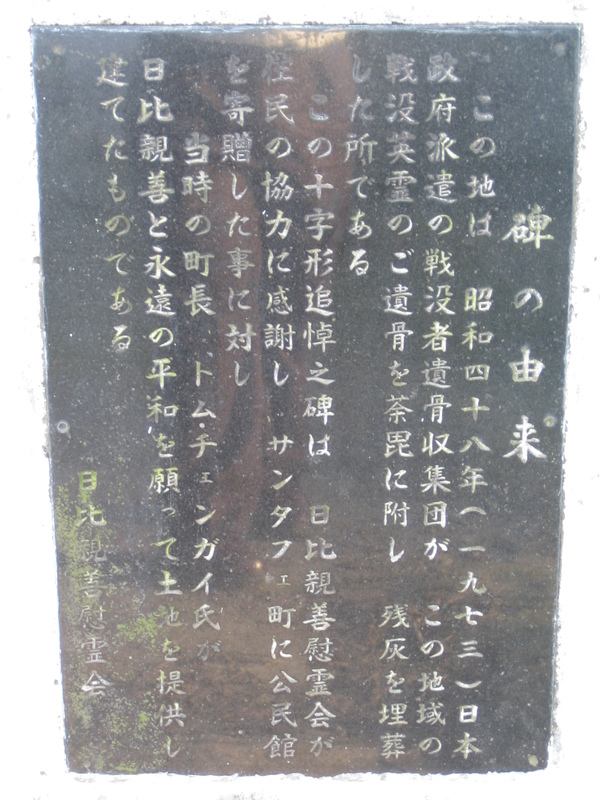 Stone marker with inscriptions in Japanese commemorating those who fell in the battles at Balete Pass. 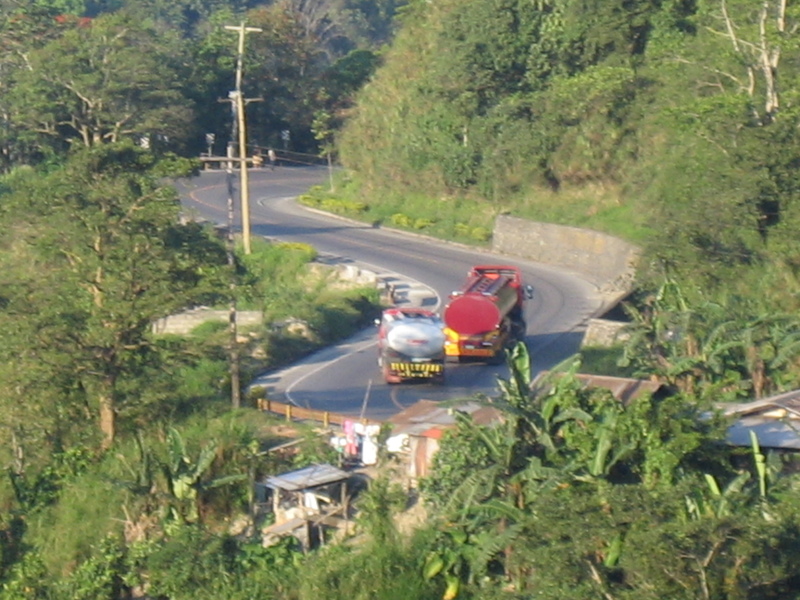 Trailer tanker heading north along Balete Pass. 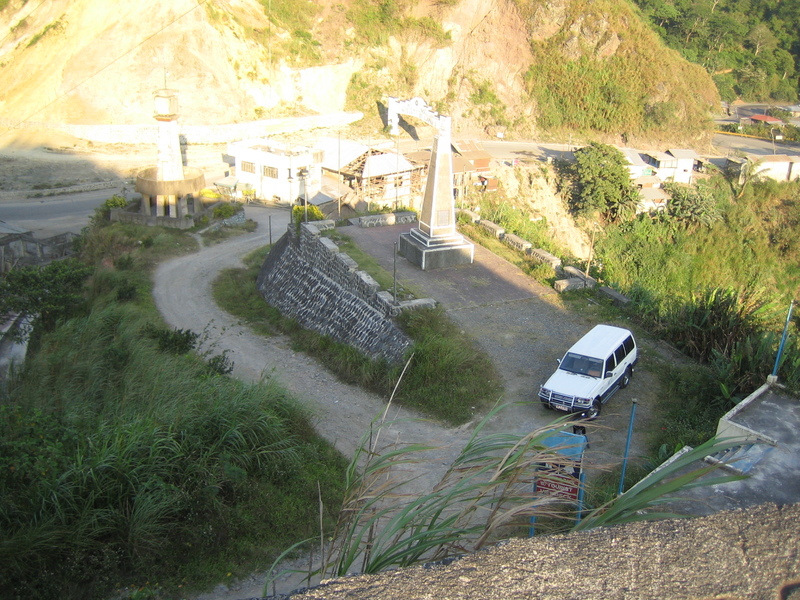 The photo shows the foot of the hill where the view deck is located. The access road to the view deck is shown on the lower right. There are stores on the left that cater to tourists and other travelers. 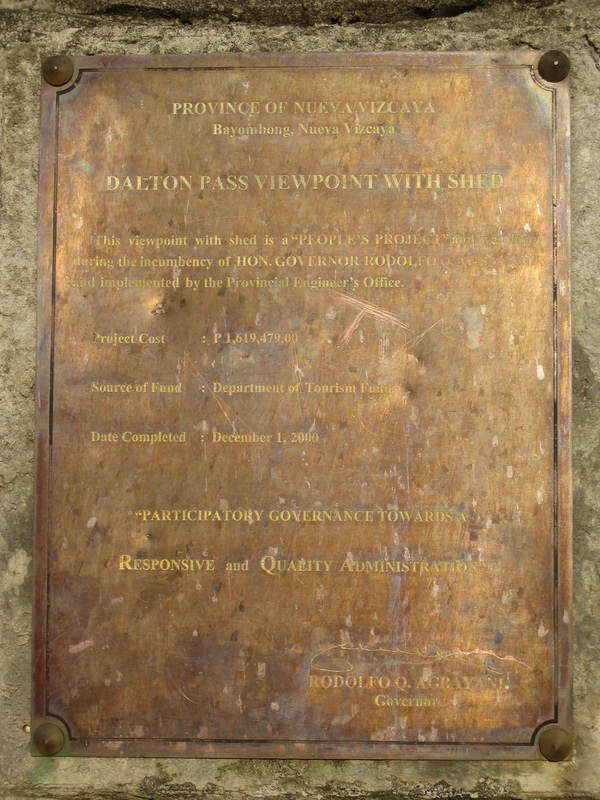 Another marker is located near the foot of the view deck. There were no other visitors except us so we were able to park easily. From where we parked, one had to walk along the stairs to the view deck. The view deck allowed for great views of the surrounding areas and like the one along Kennon Road in Baguio, one could see all around for kilometers away. This is a photo of a landslide/rockslide prone section where a concrete roof was built over the section to protect motorists and preserve the road. Just when I thought I’ve experienced the worst traffic jams along Ortigas Avenue Extension (De Castro to Junction) last year, I am greeted with even worse congestion along Marcos Highway as 2012 began. I have featured this highway in previous posts first on August 24, 2011, then in September 2, 2011, again in September 13, 2011, and then as late as December 18, 2011, as I have been able to basically monitor the progress of pavement “re-blocking” and drainage works along this highway (I live in a subdivision along the highway.). 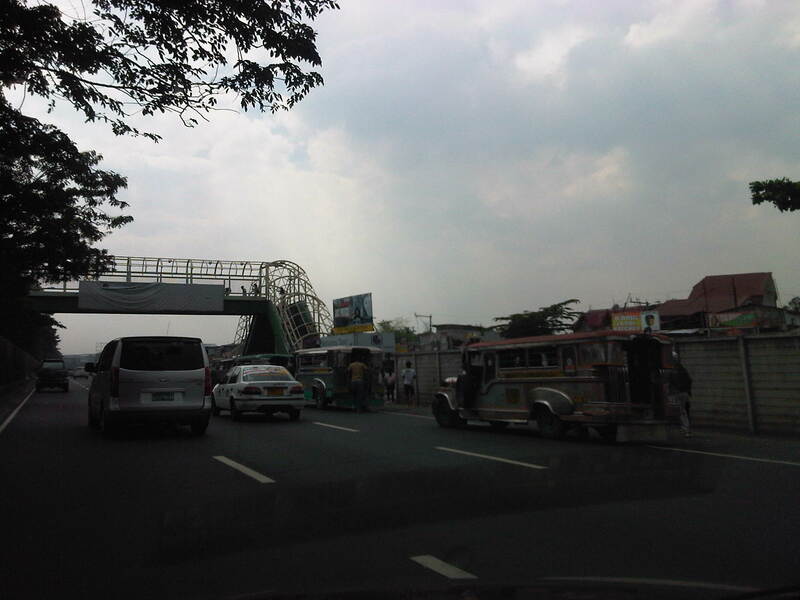 The project stretches from the Santolan area near the Marikina River to Masinag Junction, and affecting traffic in at least 4 cities (Quezon City, Marikina City, Pasig City and Antipolo City) and 1 major municipality (Cainta). The problem, it seems to me, is that the contractor seems to be behind schedule and is now trying to make up for lost time by practically digging up entire sections of the highway without first finishing the job in other sections they have already started rehabilitating. In fact, there are sections that already have new concrete pavements that are still inaccessible to traffic despite already over 2 weeks of curing time! 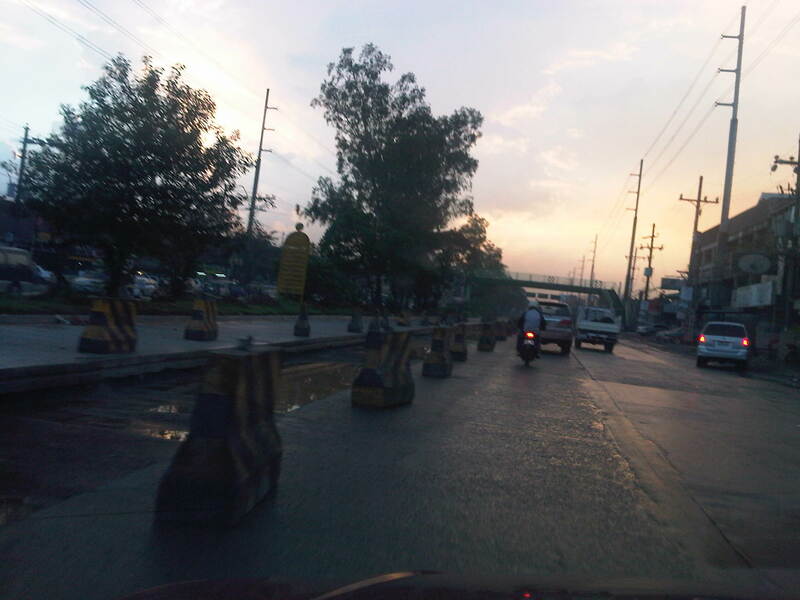 The concrete barriers preventing vehicles from using these sections occupy about a fourth of the adjacent lanes, contributing to the reduction of what is already limited road capacities for the high volume of traffic along Marcos Highway. 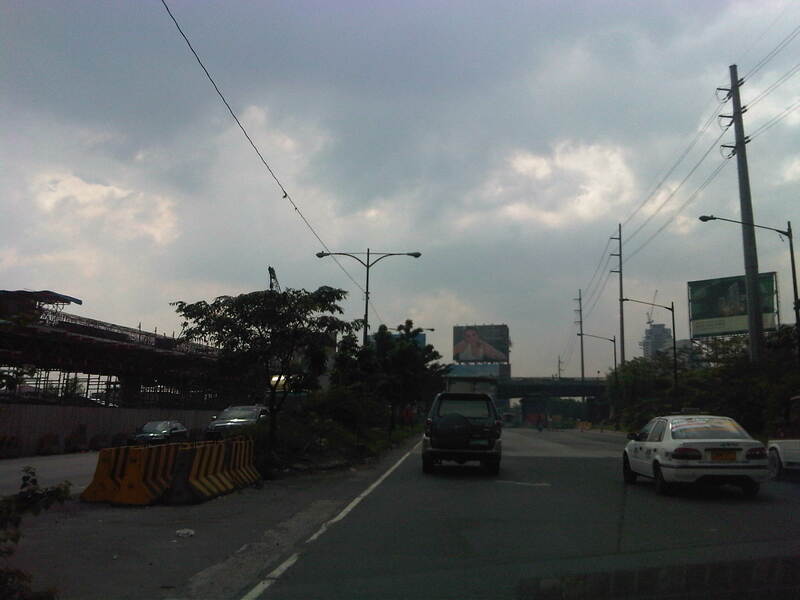 I am aware of the traffic management plan for the highway as it is posted online at the DPWH website. But this is something that is on paper (or online) and one that seems to have been thrown out the window given the discrepancies with what’s on the plan and what we actually see and experience on the ground. 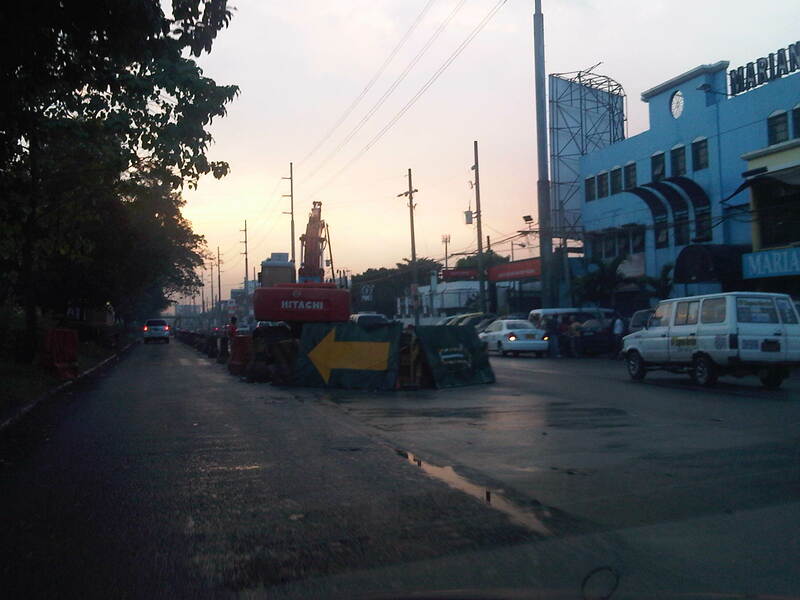 The current work along the highway has effectively turned the stretch from Filinvest East to Santolan into a sort of slalom or obstacle course that has led to much inconvenience to commuters and motorists. Factor in the wasted fuel and the resulting emissions due to the congestion and you have economic losses piling up everyday. 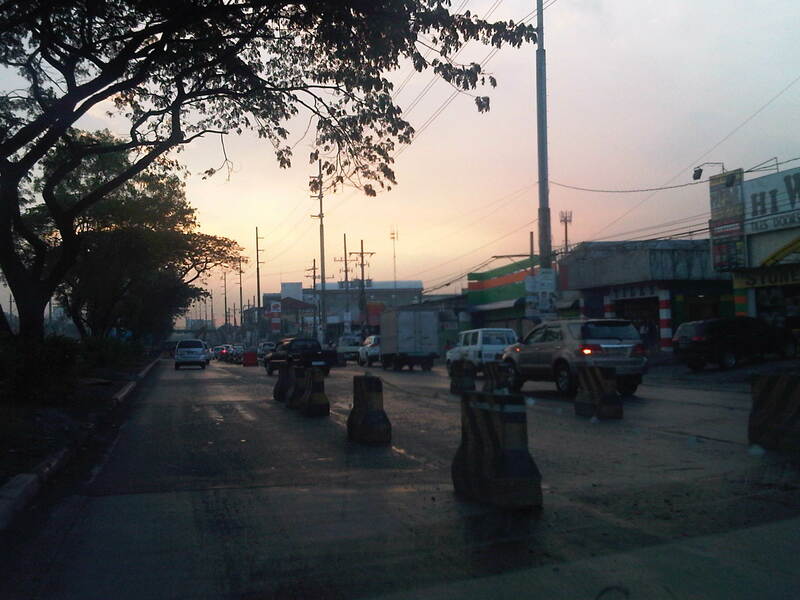 I took the following photos I took one late weekday afternoon only this week as I traveled from Masinag to Imelda Avenue. The photos clearly show the work in progress along the highway that has been that main cause of congestion throughout most of the day. 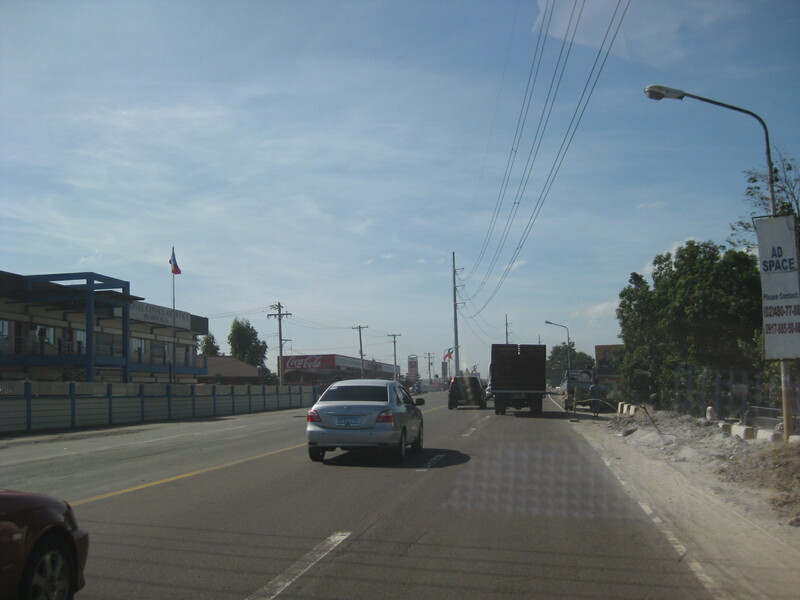 Beginning of section being rehabilitated with work concentrated on a middle lane in front of the Marian Memorial (funeral) Chapels along Marcos Highway. Note the barriers on either side of the lane and the heavy equipment. Notice, too, the few people working on this section. Vehicles will have to split into two streams, one on either side of the affected lane. End of the lane mentioned in the previous photos. There is a gap between this affected lane and the next one (start is indicated by the red barrier downstream in the photo) allowing vehicles to weave along sections between work sites. The pick-up in the middle of the photo is doing just that – shifting from the shoulder lane to the median lane. This is again the end of the section Unfinished section is flooded due to the sudden rainfall that afternoon in the area. Many sections have already been filled with base layer material and compacted. However, I am wondering why the contractor has not poured concrete when I reckon it has already taken enough time for consolidation of the base layer. From the same photo above, you can see the beginning of another section under rehab, but this time two lanes (inner lanes) are closed to traffic on one side of the highway. There are 2 other lanes also closed to traffic on the other side of the median island. Despite the completion of re-blocking for the median lane, it is still closed to traffic. Meanwhile, it has taken a significant amount of time since they dug up the middle lane shown in the photo and where the section should have been ready for concrete but with the water collecting after the sudden rains that afternoon. Notice the hazards posed by the concrete barriers along the highway. Section along the westbound direction of the highway and across from Town & Country subdivision shows 2 lanes affected by the pavement rehab works and only 2 lanes available to traffic. 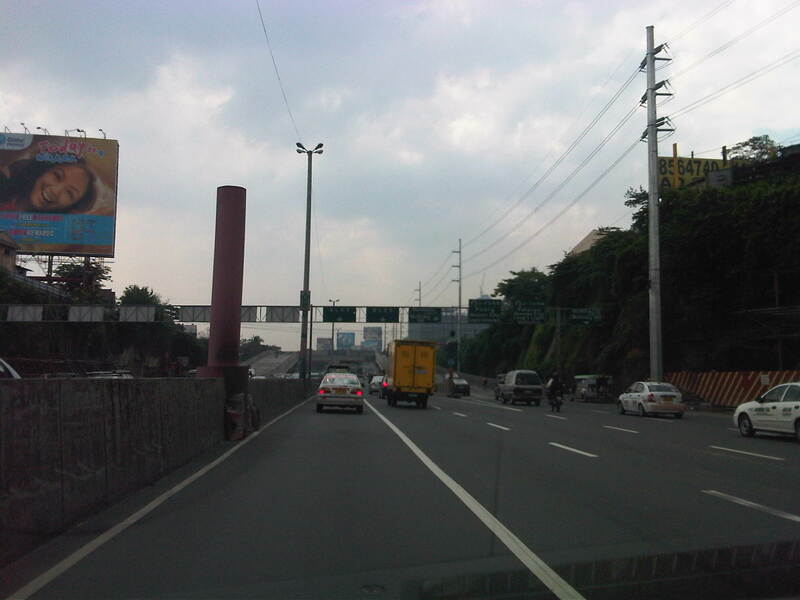 It is really quite difficult to offer solutions in this case considering so much work still to be done in order to meet the March 28, 2012 deadline posted on the project billboards along the highway. For one, I do not know exactly what the reasons are for the delay of the project (perhaps a delayed release of funds?) and why the contractor has been unable to deliver according to schedule and plan considering the amount of time that was available to them. I do notice that there seems to be not enough people working on the project and that there seems to be no one working during certain times of the day when traffic is supposed to be lighter and fewer people to inconvenience. I did write that the contractor was doing a decent job in managing traffic before including their good use of counterflows. That was months ago and it seems that the saying “you are only as good as your last performance” applies in this case where people will be scrutinizing the current state of traffic along Marcos Highway. People do expect though that the combined efforts of the MMDA, local traffic enforcers from Pasig, Marikina and Antipolo, and personnel from the contractor to make a bigger effort to ease (manage?) traffic congestion during the critical periods. It’s very frustrating and disappointing, however, that instead of managing traffic or facilitating flow, most enforcers seem to be engrossed with enforcing the number coding scheme alone. This seems to be the case for Pasig and MMDA enforcers posted at Ligaya and the Metro East vicinity. 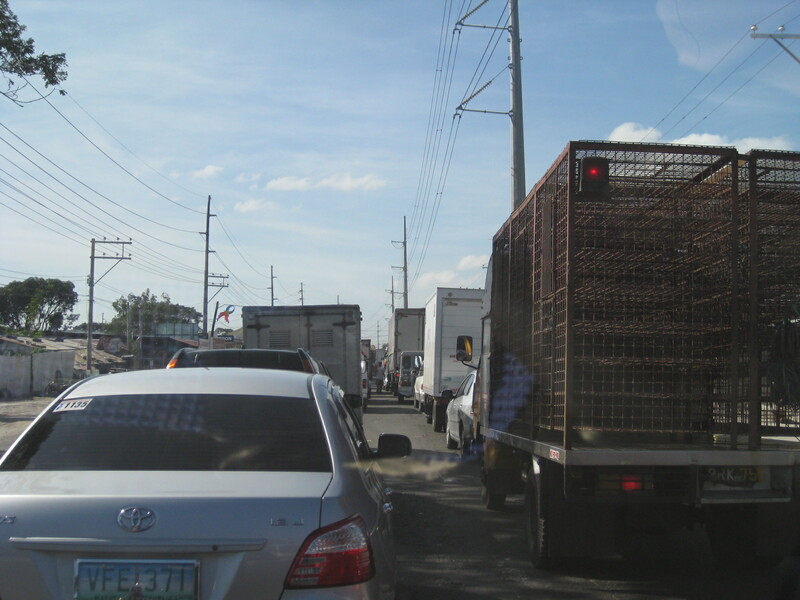 Perhaps number coding should be the least of their concerns when traffic is already constricted because of their failure to manage the jeepneys clogging the Ligaya area as well as what seems to be a breakdown in the coordination among these enforcers and the contractor of the rehab works along Marcos Highway. 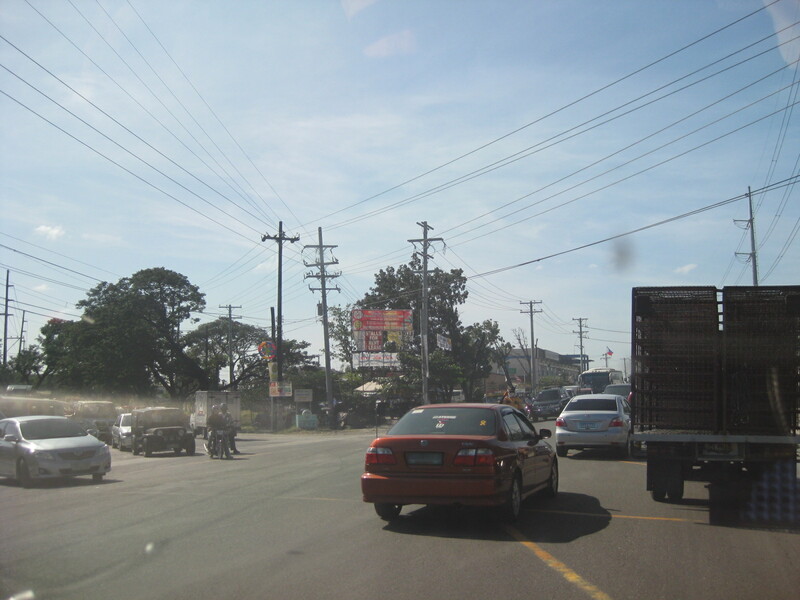 The Gapan-San Fernando-Olongapo (GSO) Road stretches across 4 provinces in Central Luzon. 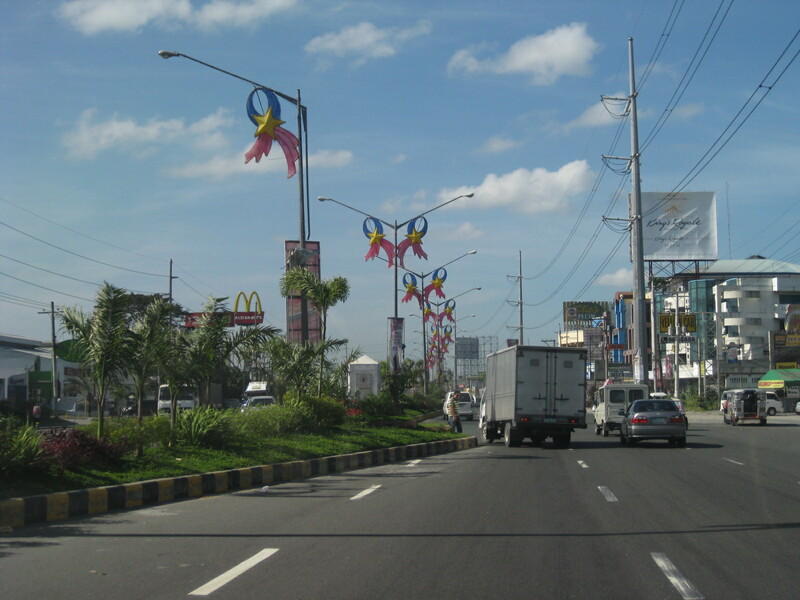 The road starts from the City of Gapan in Nueva Ecija and passes through the towns of San Isidro and Cabiao before crossing into Pampanga through the towns of Sta. 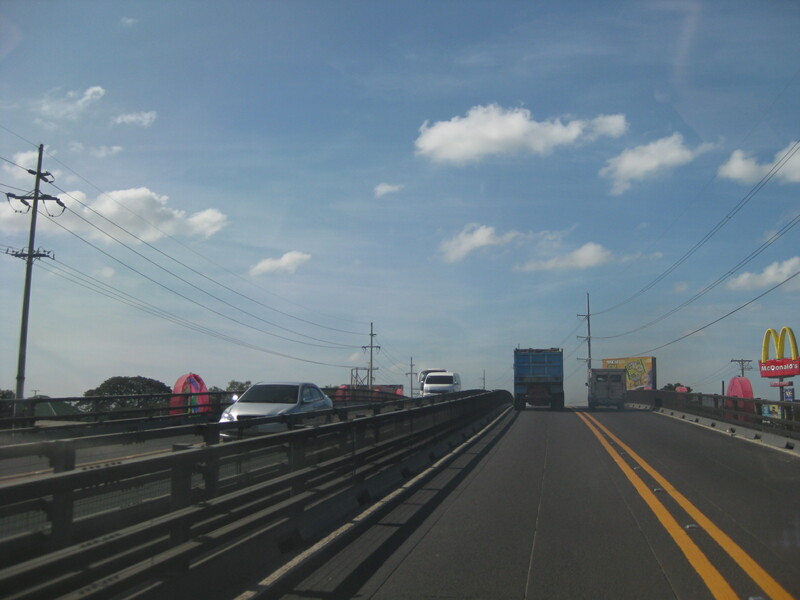 Ana, Arayat, and Mexico, and crossing the North Luzon Expressway (NLEX) and McArthur Highway along the City of San Fernando. 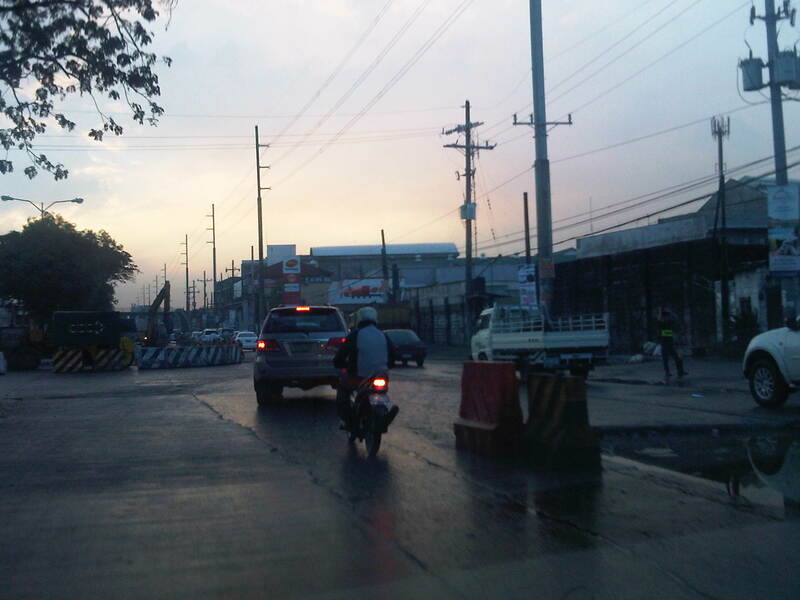 After San Fernando, the road heads west through Bacolor, Sta. Rita, Guagua and Lubao. It exits Pampanga from Lubao and to Bataan via Dinalupihan, and finally to Olongapo City in Zambales. 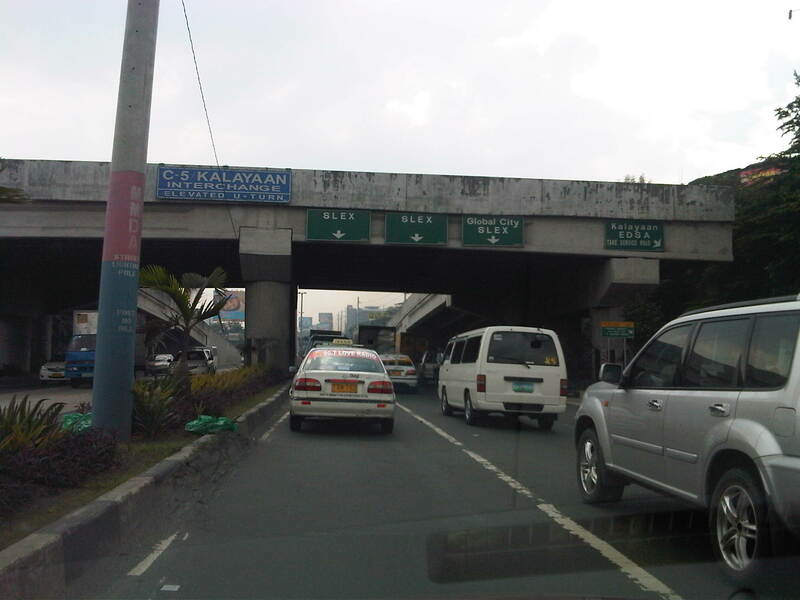 It is also known along major stretches as Jose Abad Santos Avenue. 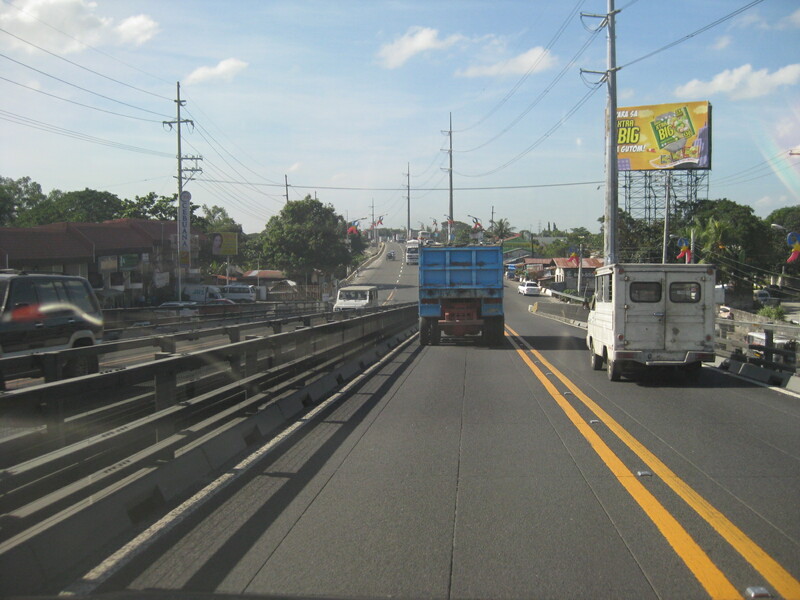 The GSO used to be the only main route towards Bataan and Zambales from the North-South corridor defined by NLEX and McArthur Highway (also known as the Manila North Road). That was prior to the construction of the Subic-Clark-Tarlac Expressway (SCTEX), which stretched from Tarlac City in the north and through Concepcion before crossing to Pampanga. 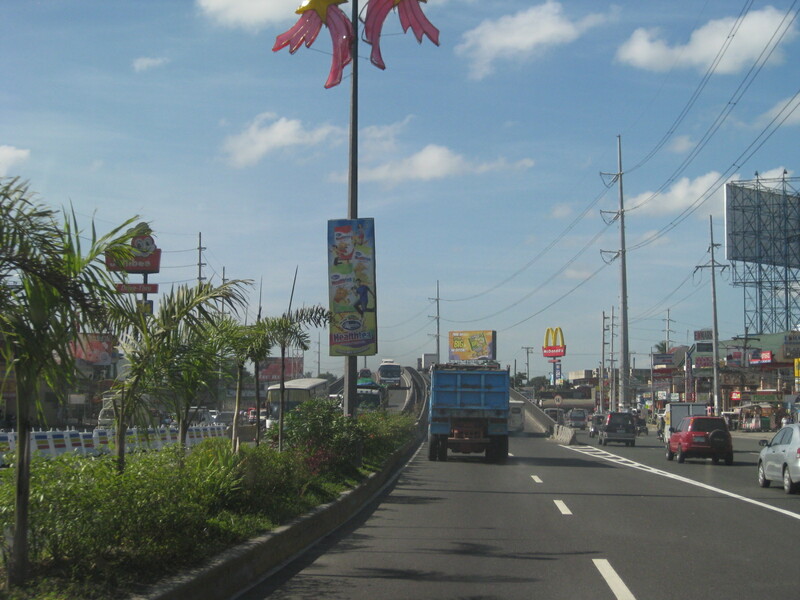 The tollway proceeds southwest through Clark (in Mabalacat and Angeles City), the towns of Porac, Floridablanca and eventually crossing into Bataan at Dinalupihan. 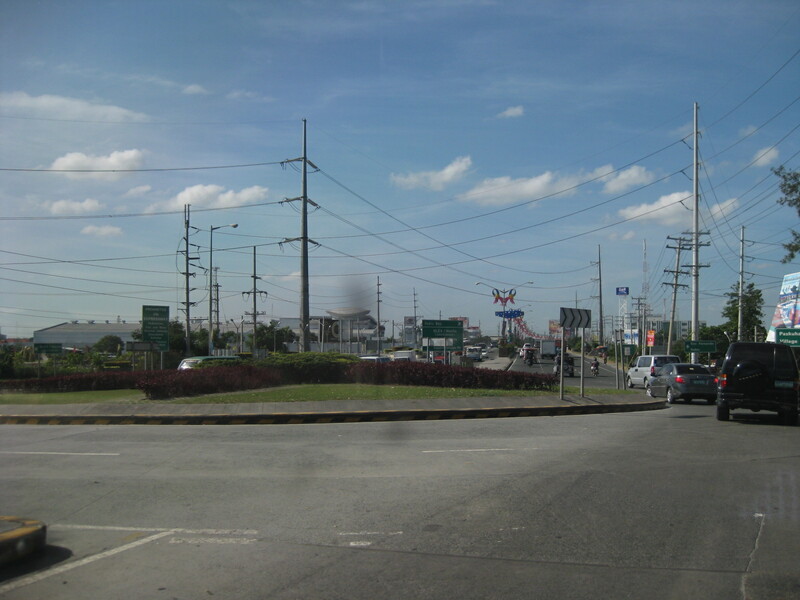 The SCTEX finally connects to the Subic Freeport Expressway (SFX), which is also known before as the Tipo toll road. One of the justifications for the Clark-Subic component of the expressway was the need for an alternate route between the industrial centers at Subic, Hermosa, Clark and Tarlac (Luisita?). Unfortunately, the projected rapid developments of those centers were not quite realized and traffic along SCTX remains light for most of the time. Congestion apparently only occurs at the Clark exit where the toll plaza capacity is not enough to accommodate vehicle arrivals. 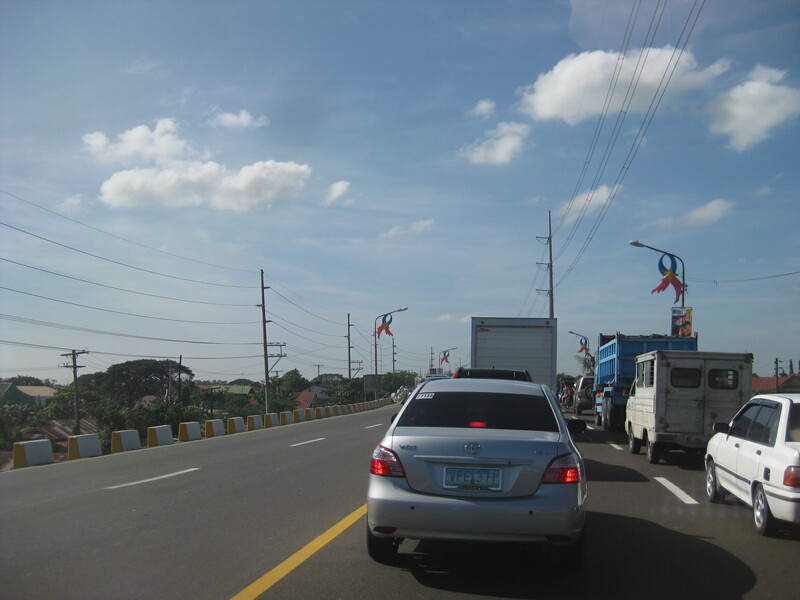 To compound the situation, the national government improved the GSO, increasing its capacity and therefore making this free road a viable alternative to the SCTEX when traveling between Pampanga and Zambales. 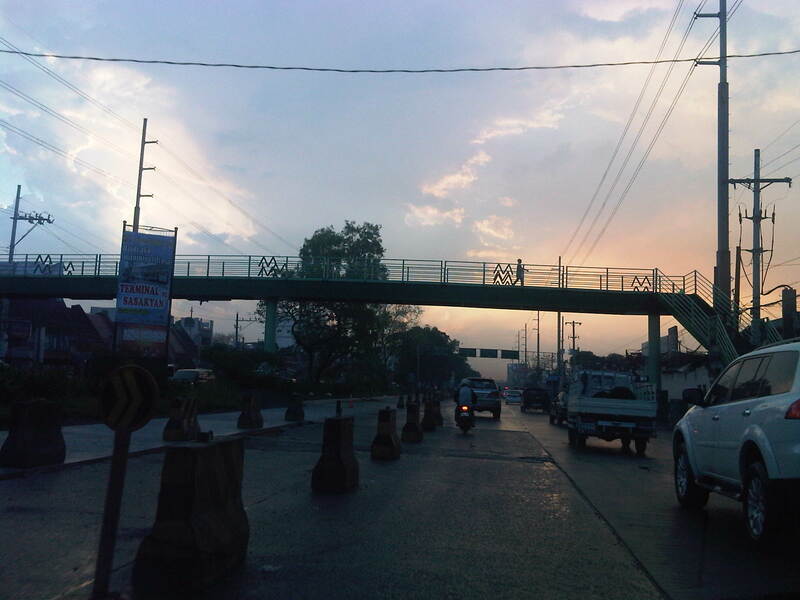 Following are photos taken quite recently along the GSO Road and at San Fernando. I will post other photos later, featuring sections along other towns. GSO section leading to what most people think is already San Fernando City proper. 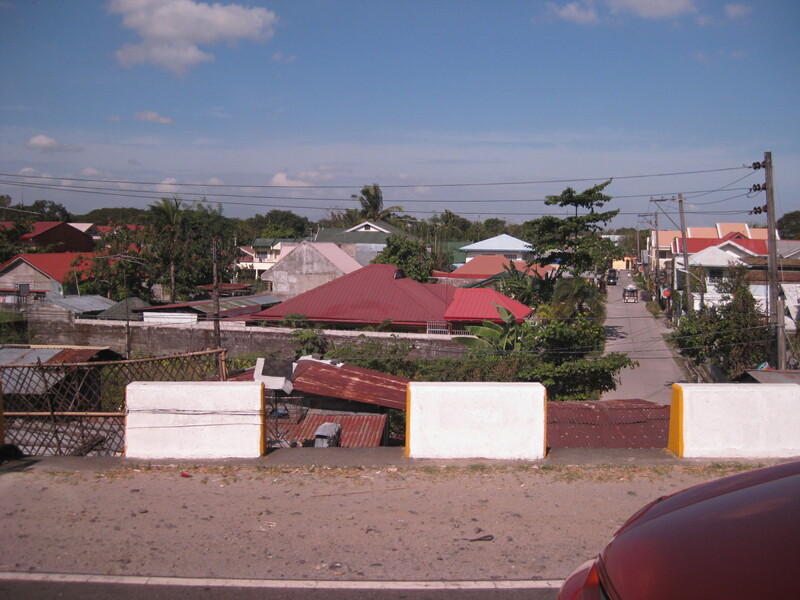 The old city center is actually further south along McArthur Highway and is an example of a traditional “bayan” with the municipal/city hall, church and market clustered together. 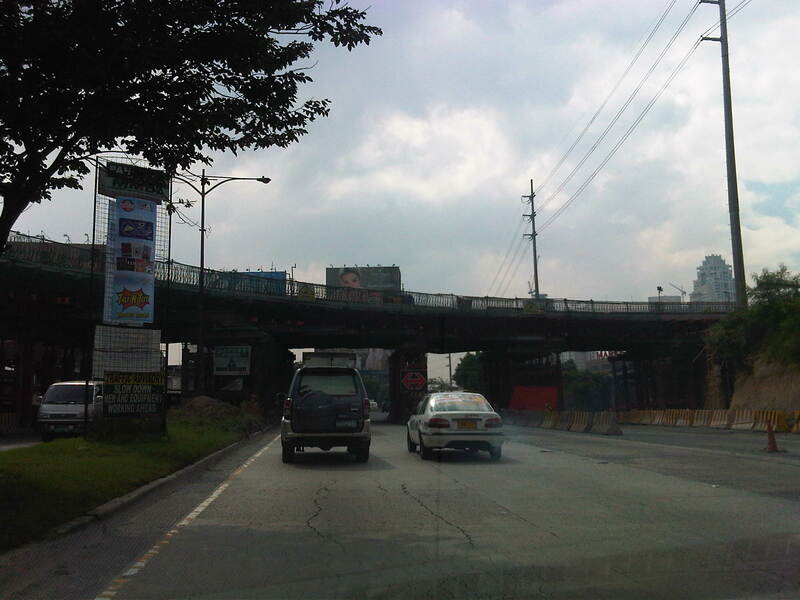 Overpass along GSO Road over McArthur Highway – prior to the construction of the overpass, traffic junction was the main cause of congestion in the area. There are actually two overpasses, one beside the other, and each having two lanes and dedicated to one direction of traffic. As can be seen in the photo, there are no shoulders or space for pedestrians. The double yellow also indicates no overtaking along the overpass. 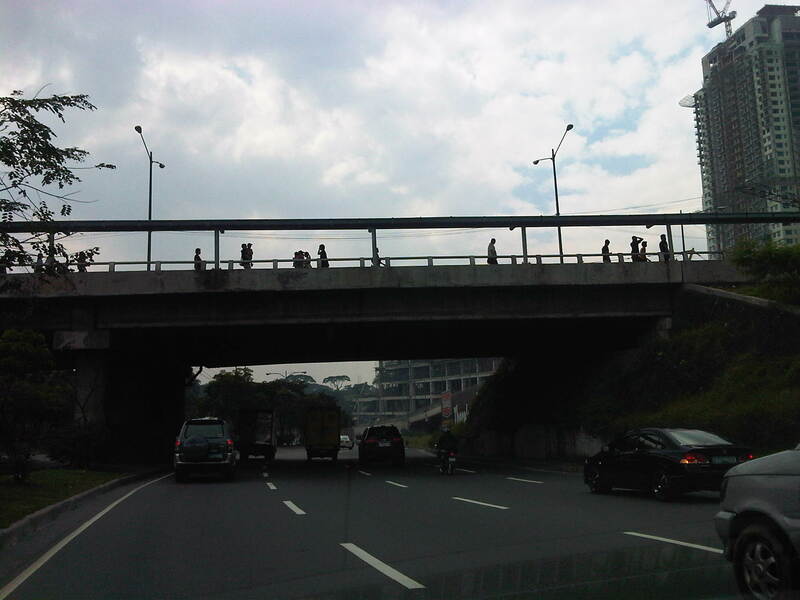 The overpass structure is very similar to those constructed in Malolos, Bulacan and Iloilo City. 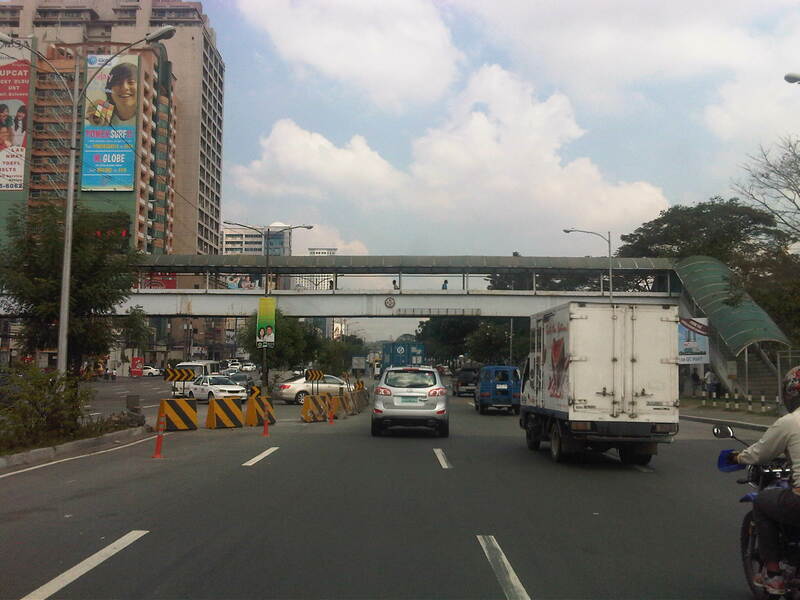 Similar structures were proposed for a flyover along Quezon Avenue and crossing Araneta Avenue in Quezon City but an underpass is instead being constructed in that area. After the overpass, travelers pass through an elevated section of the GSO Road. 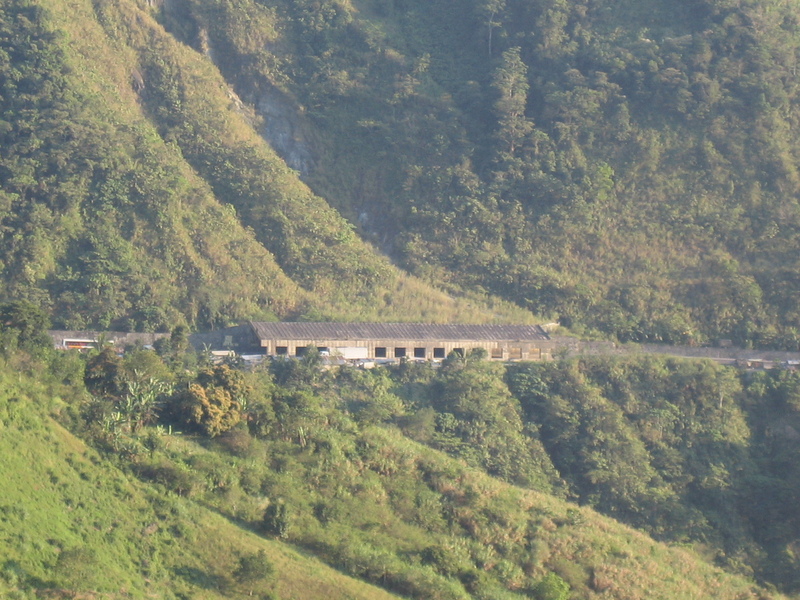 The section was constructed over an embankment that was part of the response on the infrastructure side for disastrous lahar flows of the 1990’s. 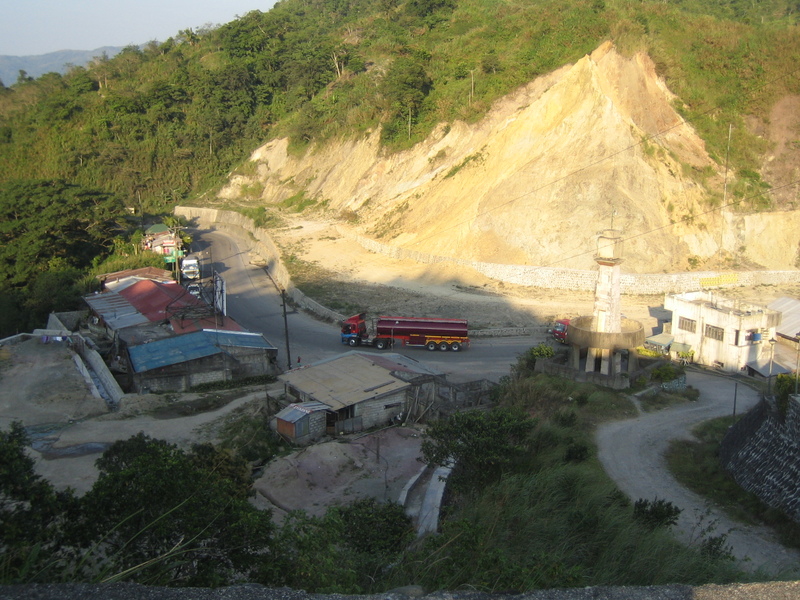 At the time, many sections of the GSO Road were destroyed by lahar generated by the eruption of Mt. Pinatubo in 1991. The concrete barriers are quite low and definitely not enough to prevent even a car from taking off from the road (in case of one going out of control) and unto the houses below. The photo above clearly shows how high the carriageway is with respect to the adjacent areas. Notice, too, the narrow strip serving as a shoulder for the road. 8There was significant congestion almost immediately after descending the overpass and along the westbound direction of GSO Road. 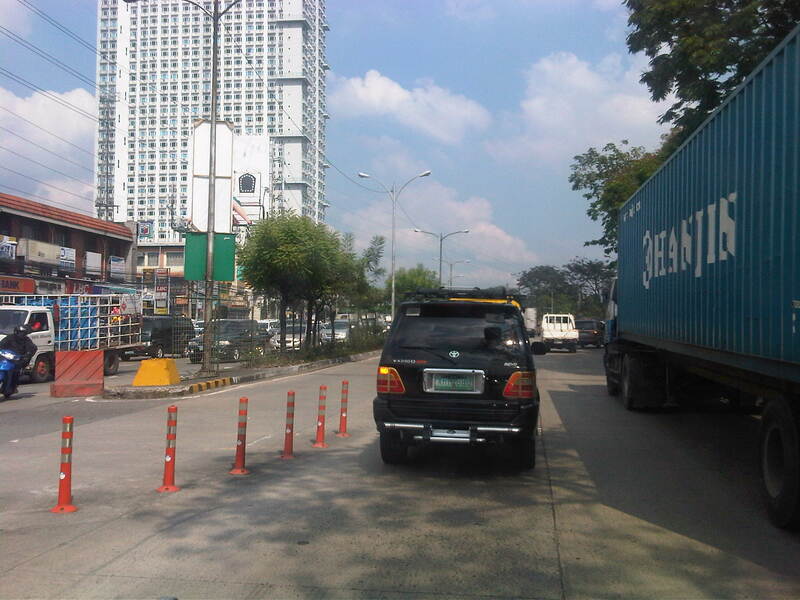 It took quite a while for us to reach the cause of the congestion – GSO Road’s intersection with Lazatin Boulevard. The junction is not signalized (no traffic lights) and manned by enforcers who appear to have no formal training in traffic management. I say so since they were applying the “buhos” system of attempting to dissipate queues from each approach (there were 4) without considering that in the process, longer queues were forming along the major road (GSO). Also, it seemed to us that the enforcers were prioritizing traffic along Lazatin when it was obvious that GSO was already congested. 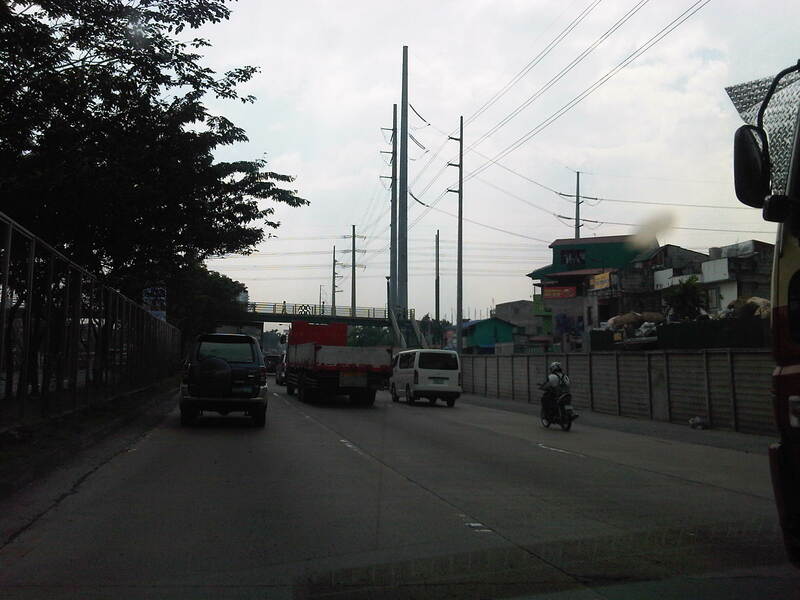 Traffic was practically free-flowing after passing the GSO-Lazatin junction. There were 4 lanes (2 per direction) and sufficient shoulder space on either side of the highway.